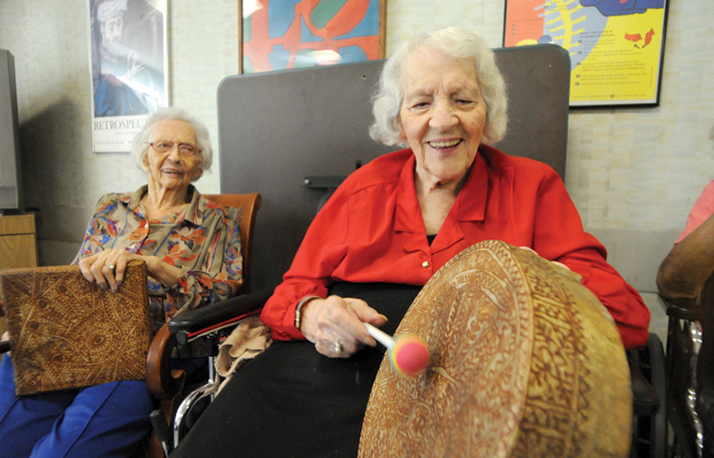 Everyone loves music, no matter what age they are or what their musical ability is. The Community Chime sessions allow people to express themselves through music in a safe environment. Each session is 45 minutes to 1 hour long and involves instruments, movement to music and sing-alongs. 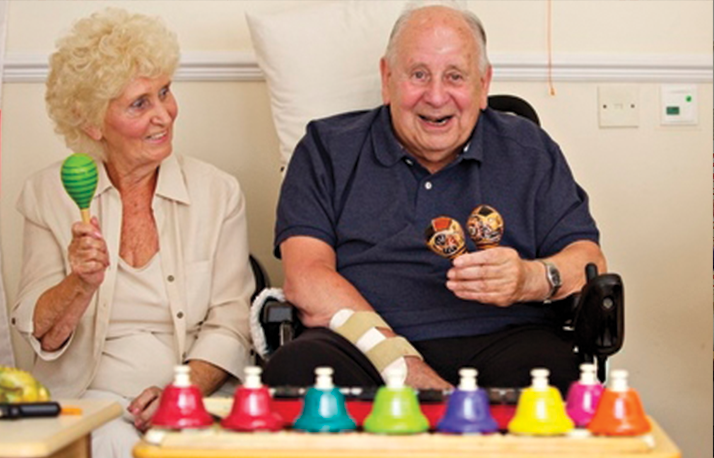 Music releases emotional tension and the sound of a song from the past often helps people free long-forgotten memories and under-the-surface feelings, therefore the sessions are particularly worthwhile for people with dementia. Musical tastes appear to be present long after the capacity for conversation therefore it is not uncommon for people with little to no language skills to join in with a sing-a-long during the Chime sessions. Each session is structured around the people participating so they always involve their favourite songs and music genres. Their memory and sense of identity is also enhanced through music, bringing nostalgia and a sense of youth into the present day. 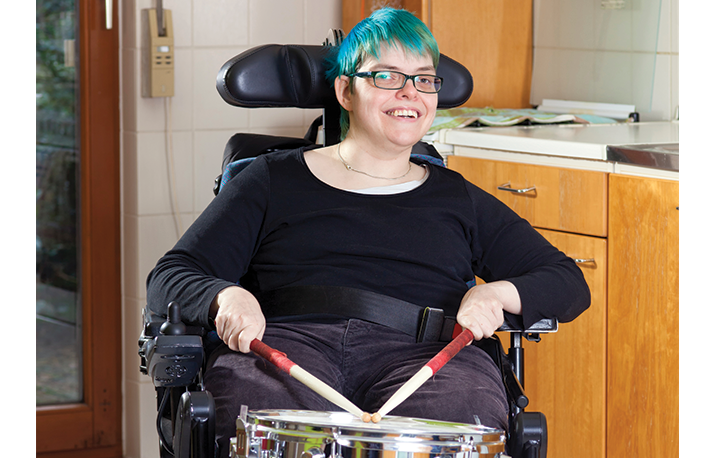 Because music is such a powerful means of engaging and communicating with each other, the Community Chime sessions are particularly enjoyable for people with learning disabilities. 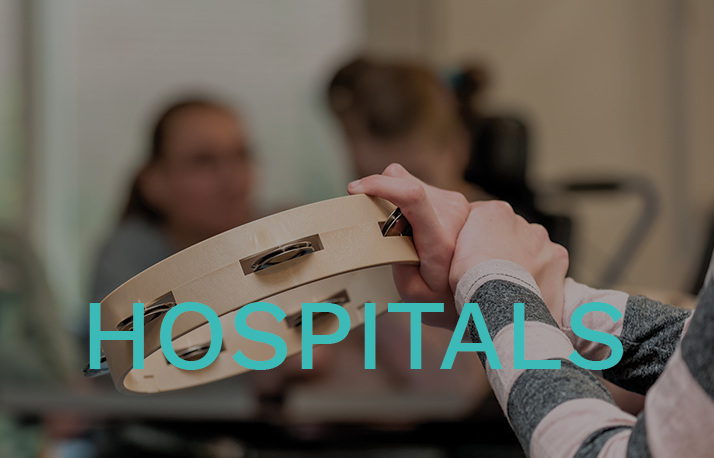 The sessions are structured so that everyone can participate therefore wheelchair users and people with limited mobility can join in with every musical activity. 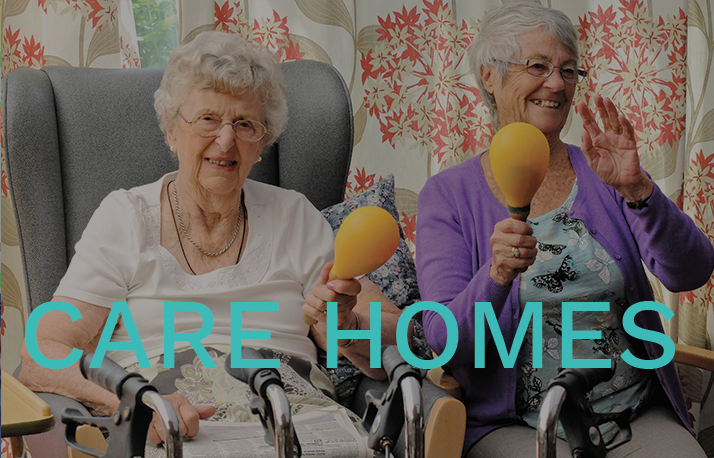 The Community Chime Sessions take place in your chosen venue, whether it is a Care Home, Hospital Ward or Dayroom. A Chime staff member will bring all the equipment and instruments needed for each session. Most importantly, the sessions are a fantastic way to combat loneliness; they are engaging, emotional and always very fun!